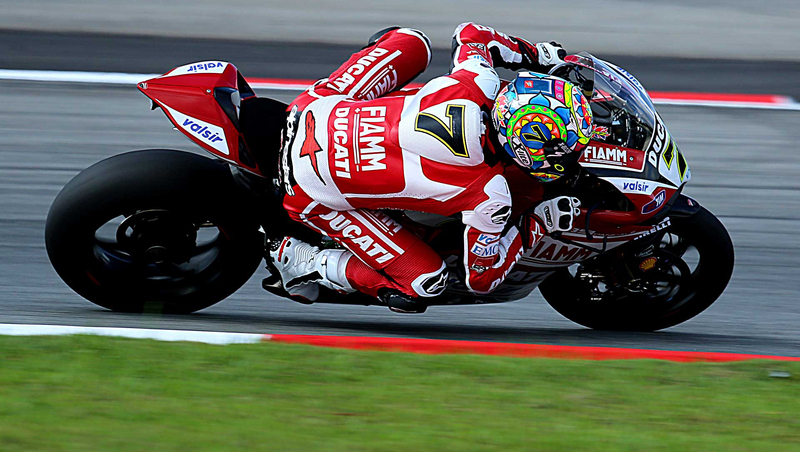 Motogear | MotoGP Misano: The one with the 62 crashes! Valentino Rossi showed why he is one of the most feared riders in MotoGP this weekend. On race-day, he was on a completely different level. He lapped faster, braked harder and rode better than anyone else on the track. It was a glorious outing for Yamaha as Rossi and Jorge Lorenzo managed a 1-2 at one of the most enticing tracks in the MotoGP calendar. Many other riders echoed his sentiment, leading one to look at tyres to be the main culprit. Given that Misano has always been a very fast and dry circuit, team managers had naturally opted for dry slick tyres. These tyres, though very fast, are highly unsuitable for tracks where even a hint of moisture is present. On Friday, heavy rain resulted in a lot of crashes – 62 in total. 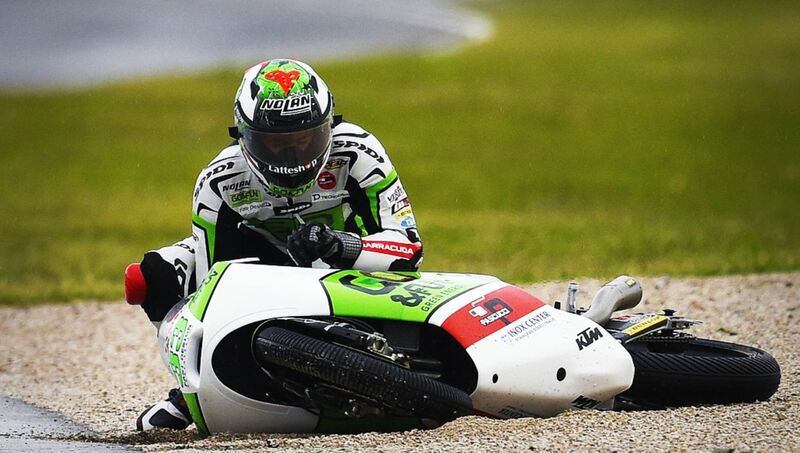 All the riders who had opted for dry slicks had handling problems, and there were 62 crashes across Moto2, Moto3 and MotoGP, with 17 in MotoGP alone -see a clip here. Go & Fun and Nolan pilot Bastianini came fifth – narrowly missing out on the podium – despite qualifying 17th due to bad weather.